Day 1 arrival at Bratislava Airport at 10:40. After that, your amazing Slovak tour can begin! Your first stop will be Trnava, also known as “The Slovak Rome”, followed by Trencin with remnants of ancient history and a majestic castle, and finally Zilina – centre of north-western Slovakia with a unique rich history. 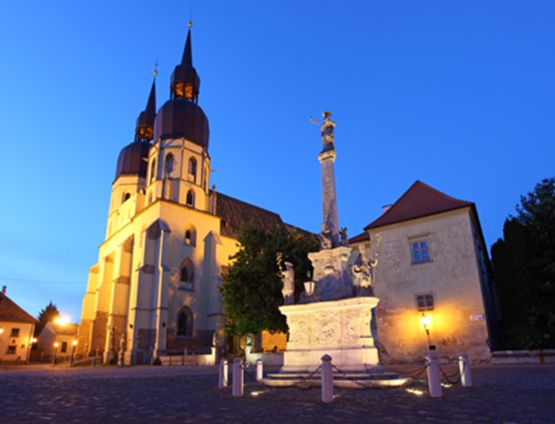 The tour starts with a sightseeing tour in Trnava, which is one of the oldest and most important cities in Slovakia. 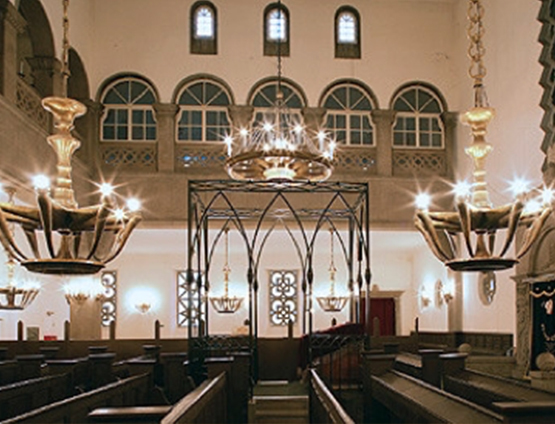 During the tour you will enter the Small Synagogue, these days used as a Synagoge cafe – where you will also have lunch. After that you will proceed to the city of Trencin, which is one of the oldest Slovak cities, chronicled as early as the 11th century. It’s strategic location near three Carpathian mountain passes on the crossroads of commercial routes has always determined the character of the city as a significant landmark. During the tour in Trencin, you will also be able to see the Jewish cemetery and the Synagogue in Trencin, which was opened in 1913. 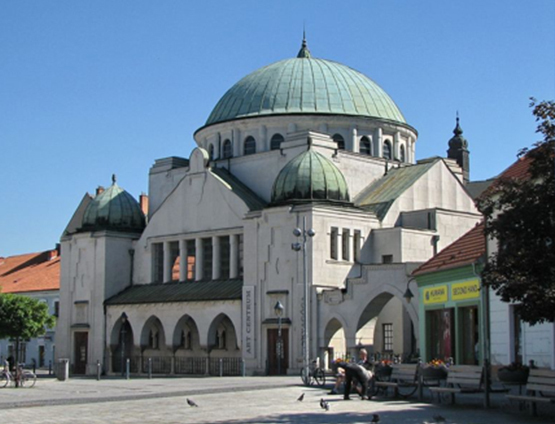 The synagogue became one of the most significant structures of its kind in Slovakia. 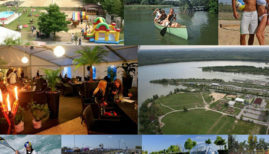 Today it is used as the venue for cultural events. 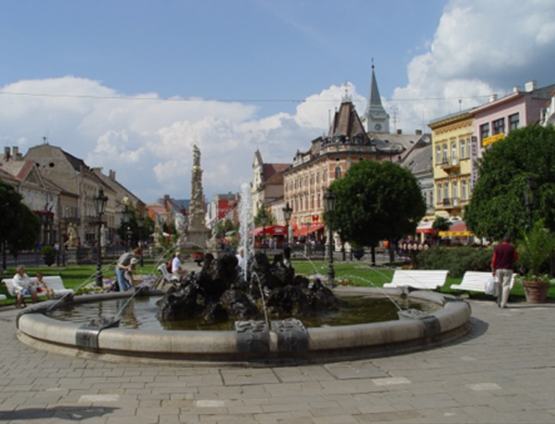 Your last stop will be Zilina, center of theaters, museums, galleries, parks and sports facilities. It’s historical center is crossed by one of the longest and the most beautiful pedestrian zones in Slovakia. 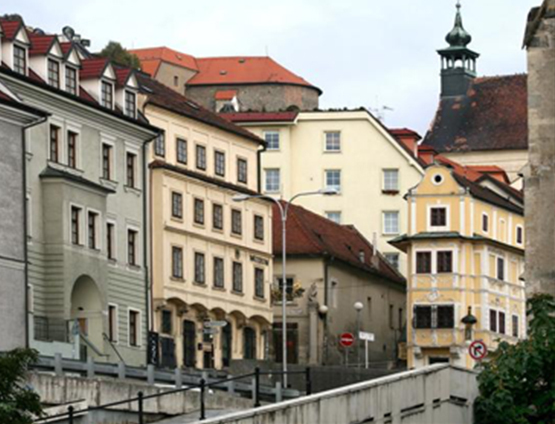 After the sightseeing tour in Zilina, which includes entry to the synagogue, you will be taken to the hotel to spend the night and prepare yourself for the next amazing day. 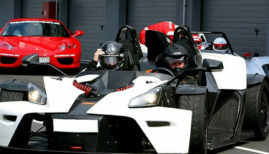 Your second day will be a little bit more adventurous than the previous one. 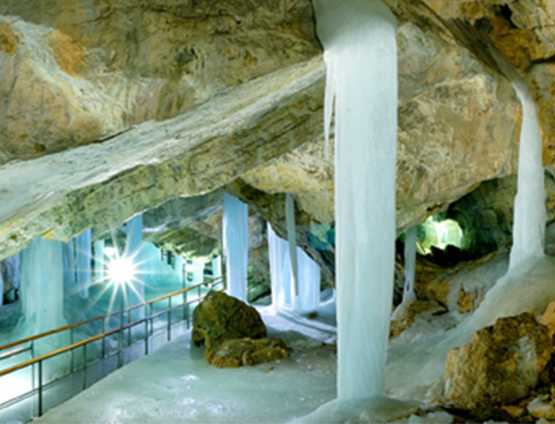 Starting with the mighty Strecno Castle, and continues with the cold but glittering Demanovska Ice Cave. On the way to the High Tatra Mountains, you will make a stop at the Open air museum in Pribylina, where you will experience life and traditional architecture in the middle of the Slovak countryside. 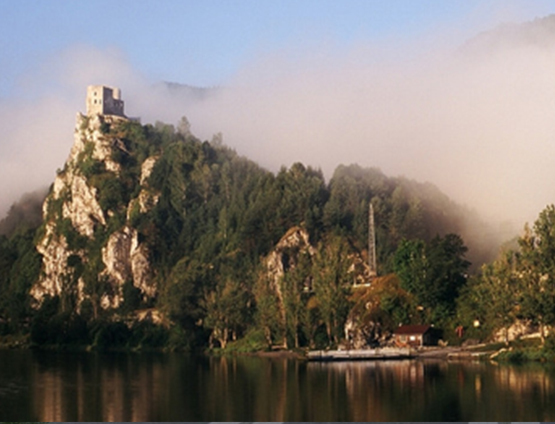 Your first stop will be the medieval Strecno Castle, towering over the Vah river from the 14th century onwards. It offers spectacular views of the beautiful nature of the Mala Fatra mountains. After that you will move on to the Demanovska Ice Cave which stands out by it’s permanent ice fill, bizarre and mighty shapes of underground spaces, rare cave fauna as well as an interesting history. The show path is 650 m long with vertical movement of 48 m, all in all an 800 m journey. Also The temperature during the summer months fluctuates between +0,4°C and +3°C! Prepare yourself! The tour will continue with a relaxing tour in the open air museum in Pribylina. It is the most attractive landmark of the Liptov region, displaying typical folk architecture. The impetus behind the establishment of the museum was the extensive flooding caused by the construction of the Liptovská Mara dam. 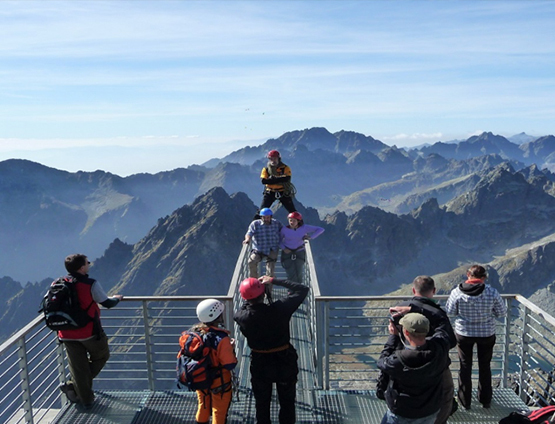 In the evening hours you will move to the High Tatras, where you will spend the night. This day will be a full and active one. 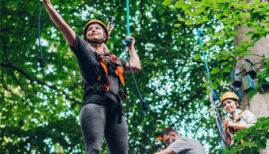 You will explore 2 National Parks, you will take a ride up to the Rocky Mountain Lake by cable car to an altitude of 1754 m, and you will raft the wild river Dunajec on the border with Poland. 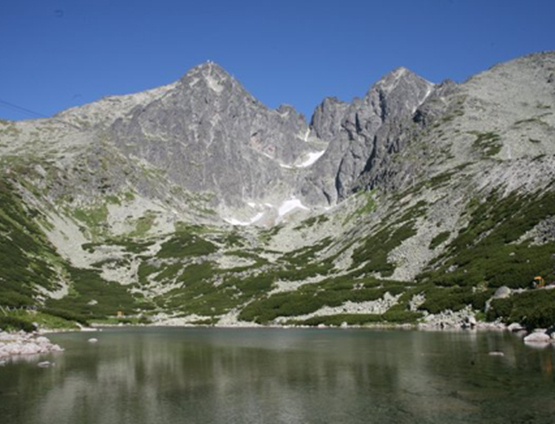 Visit the most popular tourist destination – Rocky Mountain Lake at the altitude of 1,751 meters. There is also an astronomical and meteorological observatory. The observatory was established in 1943, when the first observations were made there. Relax and catch some rays of sunshine at the location of one of the highest restaurants in the High Tatras – at the Panorama Restaurant Skalnate pleso, which has a really fitting name. The sunny terrace offers beautiful panoramic views of the surrounding rock peaks. Afterwards we will take you to Pieniny National Park. 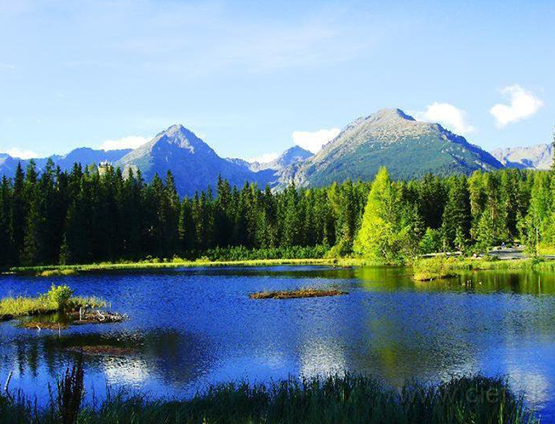 The national park covers a very attractive area east of the Tatra Mountains and canyons. The river valley of the Dunajec is particularly beautiful and 11 km long. The raging mountain river wedges here through a narrow valley. 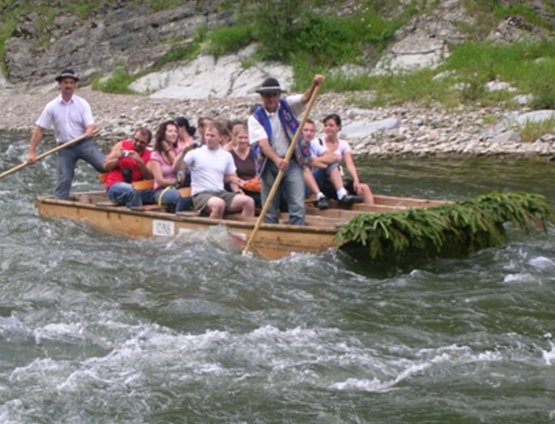 Rafting on the river Dunajec is by traditional goral rafts, between Poland and Slovakia, this is a part of the tour. After the rafting, there is a possibility to take a horse carriage or a 15 min walk to the bus. At the end of the day we take you to the beautiful city of Kosice. Discover the fascinating highlights of Kosice’s history and famous legends. Visit the places where life has pulsed since the city was established, learn about its famous locals, the city’s patron, the place where the Kosice government manifesto was drawn up, the local “radio”, St. Elisabeth Cathedral – the biggest church in Slovakia, singing fountain, the Shire Hall. There will be no shortage of superlatives on this city walk. Kosice is also full of Jewish monuments. Before the holocaust, the city of Kosice was one of the biggest and most prominent Jewish congregations in present-day Slovakia. It was in 1840 that Jewish people were allowed to live in the city and after almost a hundred years Kosice had become by the 1930‘s home to over 11,500 Jews, who made up 16.4% of the total population of the city. Yet it took just under a month in 1944 for almost the whole Jewish community to be shipped off to Auschwitz-Birkenau. They left their monuments as a legacy, enhancing the city and telling their own somber stories. By their beauty, atmosphere and uniqueness, the Jewish monuments make this tour a truly unique experience. Take a step backwards and discover the famous mining history of this royal middle age city. 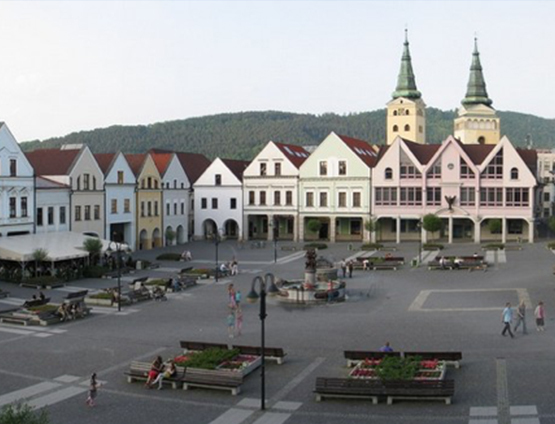 The history of Banska Bystrica is very closely linked to the mining of precious metals – especially silver and copper. The 15th and 16th century is considered to be “The Golden era” of Banska Bystrica’s history mainly because of the successful Thurzo-Fugger Copper Company. 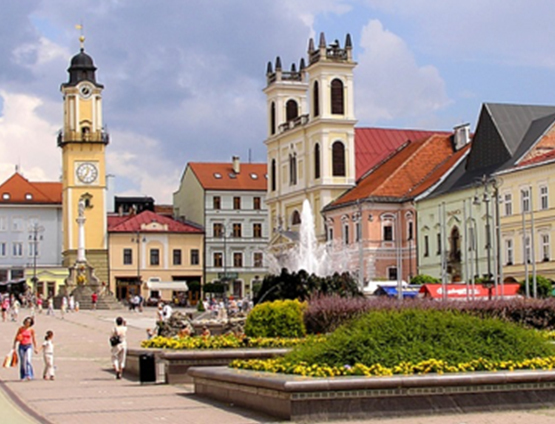 Thanks to whom, Banska Bystrica earned the title “Copper City”. The historical center of the city was declared as a Historic Preservation. 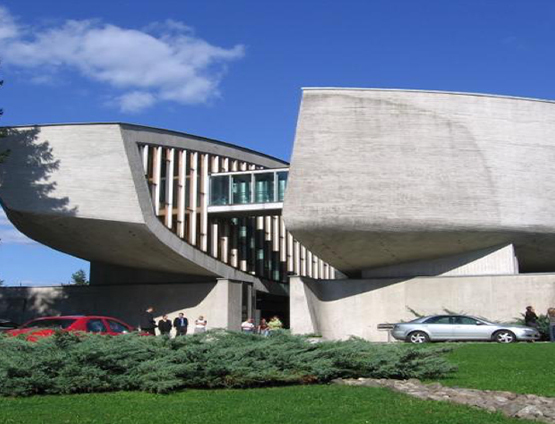 You visit is also to the memorial locations of the Jewish community such as the Jewish cemetery, the Slovak National Uprising memorial with its Holocaust museum and the “Stones of the missing” in memory of the Holocaust. After a tour you will take a little rest and lunch. 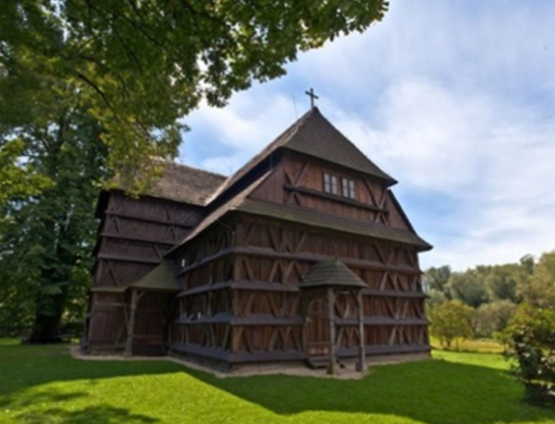 Then we continue to Hronsek village, which is well known for it’s wooden church. Be prepared for an extraordinary experience! This piece of architecture is part of the UNESCO World Heritage List. This is your day off. In the morning you walk to the only orthodox synagogue in Bratislava, on Heydukova Street. 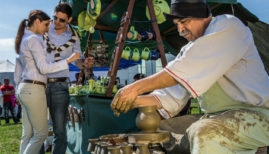 In the evening you will be entertained by a Slovak Folk performance. 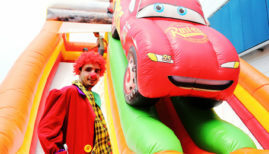 During this day you will enjoy the unforgettable atmosphere of the Old Town and the Castle. After lunch we trace back the steps of the Jewish community that once resided in this magnificent city. We will take a look at a number of historical sites where streets, houses and synagogues were the centerpiece of Bratislava about half a century ago. The Jewish community along with the former ghetto located on the banks of the river Vydrica, Zamocka street, the Zuckermandel and stores on Kapucinska street are still largely present in the memories of the city and of those old enough to remember it. Unfortunately, the once majestic Jewish Community is a shadow of its former self since the second world war. 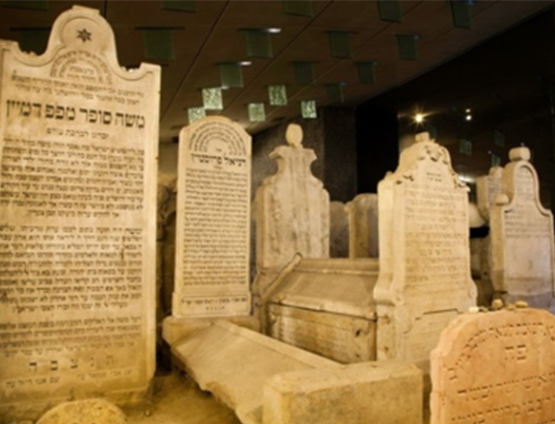 During the tour you will visit the Mausoleum of Chatam Sofer, you will get to see the preserved section of the original Jewish cemetery in Bratislava, the Jewish museum, and the location where the Pressburger Yeshiva used to be..